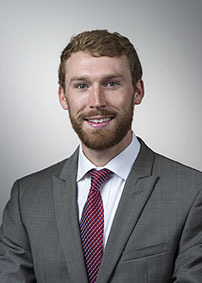 Born and raised in Alexander City, Jacob Meacham returned home and began working at the chamber in July 2015 as Vice President of Business Development. His work at the chamber touches on all of the office’s key initiatives, such as new business recruitment, existing business growth, education and workforce readiness and public policy. His past work experience began at The University of Alabama as an intern and graduate assistant in the athletic department’s sports information office. After graduation Jacob began his working career in the undergraduate admissions office, assisting in UA’s student recruitment efforts on campus and across the United States, as well as helping launch the office’s digital media group. While working for the University, he also held freelance positions aiding local businesses with digital marketing and ecommerce. His educational background includes a Bachelor of Arts degree from UA as a double major in public relations and political science, as well as a master’s degree in UA’s sport management program. Jacob and his wife Lindsay have two young children, Jack and Julianne, two schnauzers, Cooper and Chloe, and there’s no place they’d rather call home than Alexander City, Alabama.